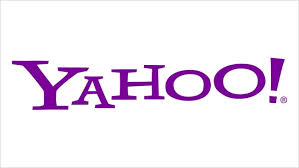 With increasing IPO estimates for Alibaba Group Holding Ltd, Yahoo! Inc. (NASDAQ:YHOO) is the one making hefty profits. Alibaba raised the target price per share with new $66 to $68 range and the company is likely to raise up to $21.8 billion out of the deal. Yahoo! Inc. (NASDAQ:YHOO) is likely to sell 121 million shares in the IPO and it will make as much as $8.1 billion at the mid-price of the new target range. Yahoo! Inc. (NASDAQ:YHOO) owns 22.6% stake in Alibaba and even after the IPO, it will hold 16.3% stakes of Alibaba. The target price has put the company one-step closer to becoming the biggest global fundraiser and Alibaba is likely to top the $22 billion public offering by Agricultural Bank Of China Limited (HKG:1288) in 2010. The size of IPO could increase exponentially if Alibaba raises the target price tomorrow or allow underwriters to offer more shares to meet the demand. The Founder of Alibaba Group Holdings Ltd, Jack Ma, has mentioned at several occasions that the company aim to expand its business in the U.S. and Europe while maintaining its growth in Asia. Far away from Alibaba’s public offering at NYSE, Chinese investors are trying to make as much profit as they can by placing their bets on companies working in partnership with Alibaba or the ones that sold stakes to Alibaba Group Holdings Ltd, as each of these companies have rallied up to 15% in the past one month. Hundsun Technologies Inc. (SHA:600570)’s shares have increased 20% in the last 30 days whereas China Shipping Container Lines Co Ltd (SHA:601866) has witnessed 17% increase in their share prices during the same period. This synthetic trading strategy is quite similar to what Bank of America Corp (NYSE:BAC) is offering to its customers by focusing over the primary shareholder of Alibaba, Softbank Corp (TYO:9984). Bank of America Corp (NYSE:BAC) has short positions that will help it gain profit from Alibaba’s offering.